ROUNDUP: Where to next for public sector wage deal? Cape Town – The National Minimum Wage Bill submitted before the National Assembly on Tuesday is a historic achievement - a direct response to the call made in the 1955 Freedom Charter, and a first since the dawn of South Africa's, Labour Minister Mildred Oliphant said on Tuesday. Oliphant presented three amended labour bills before the National Assembly. These are the National Minimum Wage Bill, the Basic Conditions of Employment Amendment Bill and the Labour Relations Amendment Bill. All three bills were passed by the National Assembly and will be sent to the National Council of Provinces for concurrence. “Every journey starts often with a small step. The journey to address the plight of the lowest paid workers reached a milestone,” she said. Oliphant added that even though the bills seemed “mild”, they are “groundbreaking” in character. Referring to the “robust engagement” between social partners throughout the formulation of the bills, Oliphant said it is a reminder that democracy is alive and real in South Africa. The national minimum wage seeks to improve the lives of the lowest paid workers in the labour market and will address the inequality challenge in South Africa and by extension poverty, Oliphant explained. A national minimum wage commission will also be established. The commission will review the national minimum wage, currently at R20 per hour, annually. Oliphant added that the Basic Conditions of Employment Amendment Bill has proposed amendments as a consequence of the National Minimum Wage Bill. It is designed to reinforce and create an “enabling legal environment” for the national minimum wage. It also redefines the role of the Council for Conciliation Mediation and Arbitration on matters which may arise as a result of the implementation of the minimum wage. The Labour Relations Amendment Bill in turn will give effect to a code of good practice on strengthening collective bargaining, preventing violent and prolonged strikes. The bulk purpose of the amendments is purely administrative – preventing employers from side-stepping new legislation without following due processes, she explained. 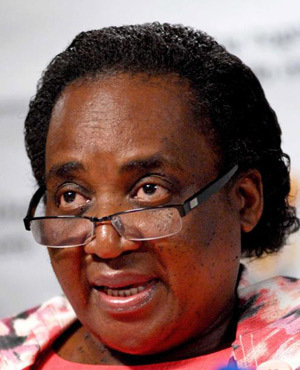 “For far too long millions of South Africans [have sat] on the margins of economic and social progress,” said Oliphant. The disconnect between those at the top and those at the bottom must be addressed, and the wealth creators and disadvantaged in society should be brought together. African National Congress MP and chairperson of the portfolio committee on labour Sharome Van Schalkwyk hit back at claims that the committee rushed the process of considering the amendments. She added that the R20 per hour rate is a starting point, increasing the income of more than six million South Africans. The benefit of this move will have a wider reach as these workers often have to support their families. She also criticised the call by the South African Federation of Trade Unions (Saftu) for a minimum wage of R12 500, calling it a “massive shock” to the economy. “We must be realistic and not reckless in the process,” said Van Schalkwyk. Democratic Alliance MP Michael Bagraim criticised the “undue and desperate haste” with which the bills ran through the portfolio committee. He also raised concerns over the job losses that would follow. He noted that Saftu did not have a fair opportunity to make its submissions in the consultation processes. Economic Freedom Fighters MP Thembinkosi Rawula also shared views that government should not exclude Saftu from making submissions. Saftu is also against the national minimum wage of R20 per hour. It previously held marches across various cities in the country in a national strike in April, demanding a living wage. The Congress of South African Trade Unions (Costau) meanwhile issued a statement on Tuesday welcoming the finalisation of the bills. It has called for Parliament to adopt them speedily so that the president can sign them into law. Cosatu has said that even though a minimum wage is not a living wage, a living wage cannot be legislated. “In fact no country has legislated a living wage. "That is something that unions and workers must campaign for. That is something that government must work towards. That is something that business must be compelled to do,” parliamentary coordinator Matthew Parks said. Cosatu also hit out at Saftu for slamming the Labour Relations Amendment Bill. Saftu believes the bill will make it impossible for trade unions to organise protected strikes, even after attempts for a negotiated settlement reach deadlock, the federation claimed. Cosatu said the bill does not collapse the right to strike. Saftu acting spokesperson Patrick Craven told Fin24 that it is unfortunate that Cosatu supports the labour bills, but the federation has requested to meet up with Cosatu to discuss issues of “common interest”. These comprise poverty, inequality, unemployment, privatisation and the VAT hike. Saftu has not yet had a response from Cosatu on the matter. Cosatu spokesperson Sizwe Pamla said that the congress is aware of the request and plans to meet with Saftu within the next two weeks, once secretary general Bheki Ntshalintshali is back in the country. “We want to explore a situation to unite workers when it comes to policy questions.” He said it is important to look at what unites workers, rather than the issues that divide them. * Correction - This article was updated at 16:00 on May 30. A previous version stated that the national minimum wage commission will eventually take over the functions of the commission of employment equity. The national minimum wage commission will take over the functions of the commission dealing with employment conditions which advises the minister on sectoral wage determinations, once sectoral wages are phased out.